Tick tock the Christmas clock is ticking! So glad you dropped by today because I'm still giggling at my Tic Tac Toe Challenge card. The inspiration board this week is fantastic -- so many elements, so many possibilities. I selected the middle row: Embossing, Die Cut and Pink. 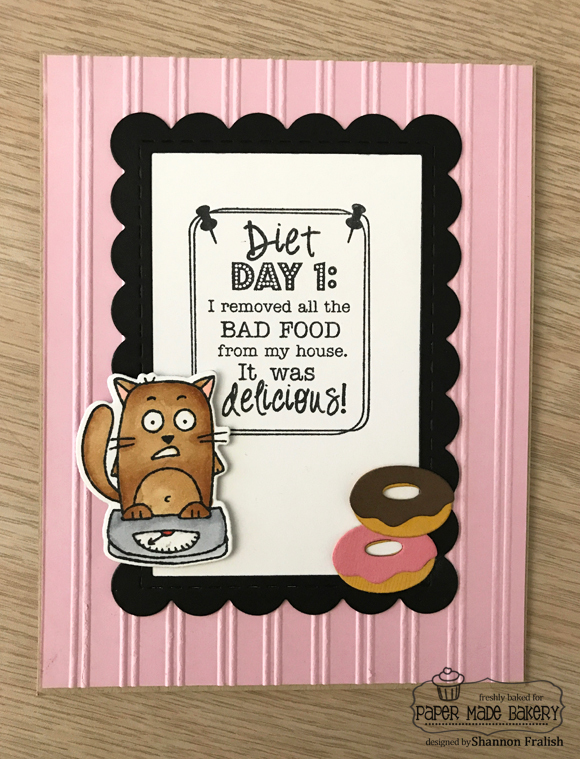 I used some super fun Taylored Expressions stuff -- Exercise Grumplings and coordinating dies, Frame in Frame 2 cutting plate, Bead Board embossing folder, and Donut Little Bits. How many of us make that same face when we step on the dreaded scale this time of year?! If we can't laugh...well, of course we can laugh! 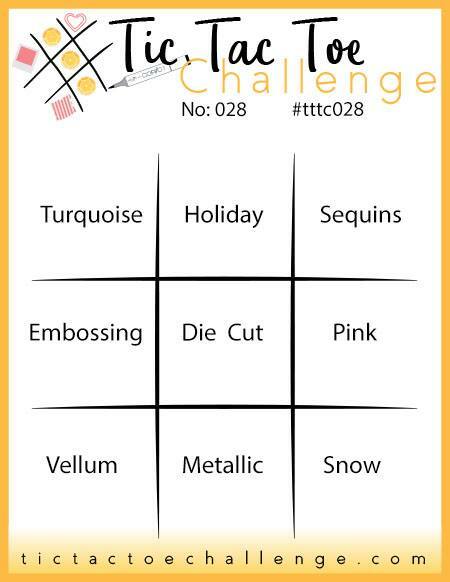 Let's see what you dream up with this week's Tic Tac Toe Challenge -- link up your pic and show us. Anyone can play along and I guarantee you'll have a great time! Wishing you a smooth run up to Christmas...shopping, baking, wrapping, and making a few awesome handmade cards.